Things to check When Buying Watches in Cairo: Even the people who knows how to dress perfectly finds it confusing when it comes to choosing the perfect watch. Watches can be expensive, complex and there is a wide range of options to choose from. So, when thinking about purchasing watches in Egypt, look at your wardrobe and budget at first. Then think, when you are going to wear it and where. If you love high-tech stuff, you can go for the smartwatches . However, if you prefer to use your watch just as a watch without worrying about price, you can go for popular brands. Once you are done with those questions, you can decide what watch options and types to go for. 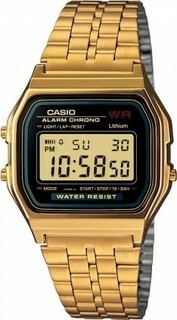 Analog watches are usually available in leather or metallic cases. Most of the leather watches in Cairo are available in brown or black color. However, digital watches like gadget ones or sport models offers plastic bands. No matter which type you choose, make sure it’s a perfect fit and not snugly. None of the watches are 100% waterproof so don’t for such gimmicks when looking for watches in Egypt. Some watches are just expensive because it’s by a popular brand while some attractive watches are cheap just because they are not made by a well-known brand. Here, you can compare the prices easily and choose the one that’s best for you.